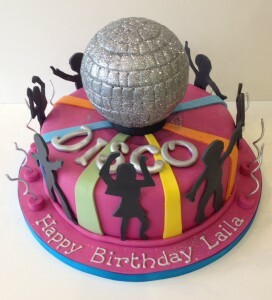 Got a little disco diva on your hands? Why not theme their birthday party around this and include one of our disco cakes. We can make all sorts of different disco themed birthday cakes from one tier wonders to three or four tiered beauties. 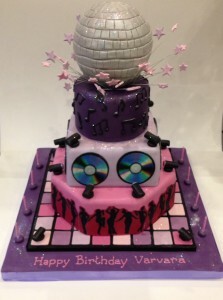 Any colour theme, flavour of cake, design and message is possible.